Enrico Letta, former Italian Prime Minister, was interviewed by China Daily, sharing his vision of the crucial and unique role China is playing in its G20 presidency, as well as key international issues to be discussed during the coming G20 Summit, to be held in Hangzhou on 3-4 September this year. As China continues with its intensive preparations ahead of the G20 summit in the eastern city of Hangzhou in September, the country not only faces a mission to find a recipe for global economic growth, but also show its leadership in reviving the original decisive role of this multilateral framework, according to former Italian prime minister Enrico Letta. “We need fresh air to restore the original role of the G20, and China’s strong and pragmatic presidency this year can help inject this fresh air,” he told China Daily in an interview in Shanghai. Letta says China has been granted an historic responsibility to bring the G20 into what he calls the third phase since the inception of this multilateral platform by the world’s leading politicians in 2008, when the financial crisis began to damage the global economy. Before taking his current position as dean of the Paris School of International Affairs, part of Sciences Po, the 50-year-old worked as a member of the European Parliament and as a party political leader in Italy. As the nation’s prime minister, from 2013 to 2014, he participated in meetings of the G8 (now the G7 after Russia was excluded) in Northern Ireland and the G20 in Russia. His lengthy political experience has led him to conclude that the G20 is the best global framework for responding to international challenges. 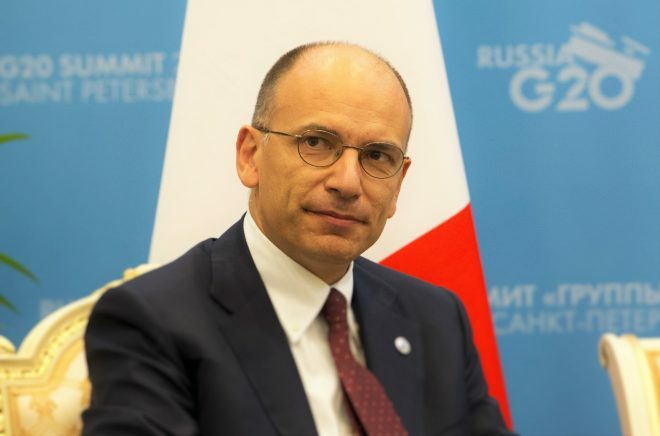 At first, world leaders were united in finding fiscal remedies and fighting trade protectionism when dealing with financial upheaval, which Letta credits for the success of the G20 in the beginning. However, after three or four summits, the G20 entered into a quiet phase, he says. Letta says hosting the G20 is not just a chance to show China on the world stage, but also a major responsibility. Yet the decision by the international community to give China the rotating presidency was not a given. He says the country faced tough competition from Japan, but as Japan was to host the G7 summits in May, China was chosen. In spite of the “quiet moments” of previous years, Letta says the G20 is an inclusive global platform that has obvious advantages compared with the United Nations and the G7. Letta says China is working hard in its preparations to turn the G20 into a stable and effective framework, but he adds that success depends on the three weeks running up to the leaders’ summit. Letta says, ultimately, the G20 should be flexible enough respond to what is happening in the world. First, it should respond to the immigration issue, which the UN and other international groups have been working on, he says, adding that he also pins high hopes on concrete ideas and projects to be raised at the G20. For example, he says, leaders at the G20 should discuss about choosing the UN leadership, which will be decided at the end of September at the international organization’s general assembly. Letta says the G20 summit in Hangzhou and the decisions regarding the UN leadership are two of the most important international issues this year. He also predicts that fighting trade protectionism will once again top the G20 agenda, which is expected to inject confidence into global trade. He argues that Europe and the US are resorting to protectionism. In the US, he says, both sides involved in the presidential campaign have shown worrying trends, while some countries in Europe are taking serious protectionist measures in places where people are concerned about unemployment. As for granting China market economy status, Letta says China and Europe should talk with each other to solve the problem. “I know it’s a crucial topic for China, but I think the country needs to understand that in Europe there are many concerns about trade. The political landscape today in Europe is leading to the rise of populists. He says three things have led to the current situation in Europe, which symbolizes a new kind of nationalism, each country against each country, and Europe against the rest of the world. First, the people fear an influx of immigrants, he says. Second, the consequences of the financial crisis are still unfolding. And third, the weakness of a Western society in which the people are anti-establishment, which is obvious in politics and society.